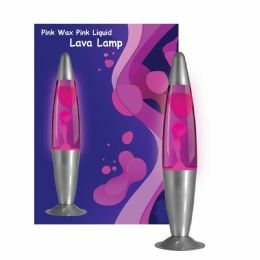 The lava peace lamp is a retro 70's style wax lamp that adds a touch of style to any room. The lava peace lamp is a retro 70's style wax lamp that adds a touch of style to any room. Watch as the wax is heated and floats around the liquid creating a calming effect that you will enjoy for hours. With its chrome effect appearance, the lava peace lamp is great for children and adults alike making it an ideal gift. If buying for use outside the UK please be aware an adapter will be needed which is available in our shop, item number 141810932832 - All our Lava Lamps come with a UK 3 Pin plug!